From ancient Egypt to the modern day, cats have been one of the most beloved pets. In fact, images of cats appear extensively in medieval manuscripts, where they are depicted as pets and mousers, appear in bestiaries and marginalia, and are even depicted in religious iconography. This delightful and informative gift book presents a wealth of cat imagery from a variety of medieval sources and is peppered with fascinating facts about the medieval view of cats and many stories of people and their pets in the Middle Ages. Among the amusing anecdotes are tales of cats having free rein of dining halls, prompting books of manners to admonish owners for petting cats while they sat on the dining table; instructions to anchoresses to not keep any animal as a pet except a cat; and examples of leases that also specify the number and age of a home’s feline inhabitants. 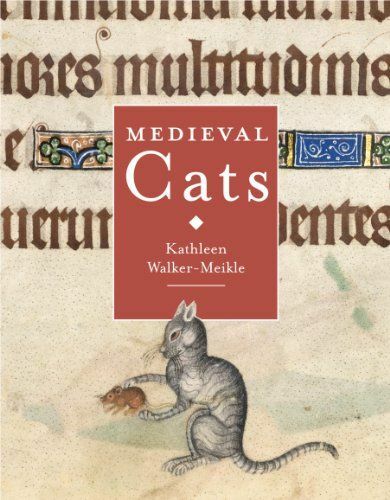 Sure to charm cat lovers and medievalists alike, Medieval Cats is a whimsical compendium of illustrations and tales.